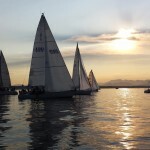 Seattle Sailing Club’s location is a gateway to many beautiful daysail destinations. 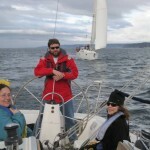 From the uninhabited land of Blake Island to the quaint Port of Edmonds, the Northern Puget Sound offers destinations for every type of sailor. 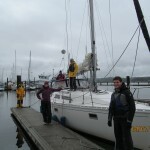 Shilshole Bay Marina is the home to Seattle Sailing Club. Just North of the marina is Golden Gardens, the perfect beach to have a bonfire and watch the sunset over the Olympic Mountain Range. South of Shilshole is Ballard, a neighborhood of Seattle with great music, food, and shopping. 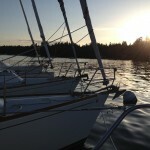 Port Madison is the perfect place to anchor for an afternoon picnic or a Seattle Sailing Club Raft-Up Potluck. The inner harbor is protected by hillsides lined with beautiful mansions and landscapes. Sail over to Port Madison to relax in the calm waters and take in the scenery. Suquamish is an historical site known for Suquamish Indians who have lived there for over 2,000 years. Chief Seattle’s burial ground is just up the hill from the launching ramp. Along with history, Suquamish has a fantastic pizza place right up the ramp called Bella Luna and shops. 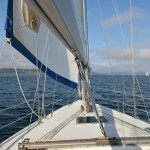 Enjoy a beautiful summer evening sail to Suquamish in just a couple hours. South of Shilshole Bay Marina, lies Bell Harbor. 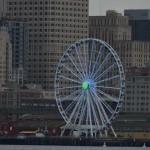 Bell Harbor offers an amazing view of Seattle’s downtown buildings, pier, and Ferris Wheel. 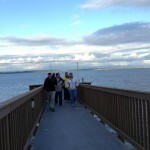 Dock in Bell Harbor and spend the day visiting Pike Place Market, shopping on the Pier or eating clam chowder. Oh, and don’t forget to take a ride on the Ferris Wheel! Elliot Bay Marina is located below the Magnolia bluff. The port offers rides on a shuttle boat to the breakwater view to see the Seattle skyline, Mt. Rainier, the Olympic Mountains (west) and the Cascade Mountains (east). Cruise ships come and go through Elliot Bay all through the Spring and Summer months. 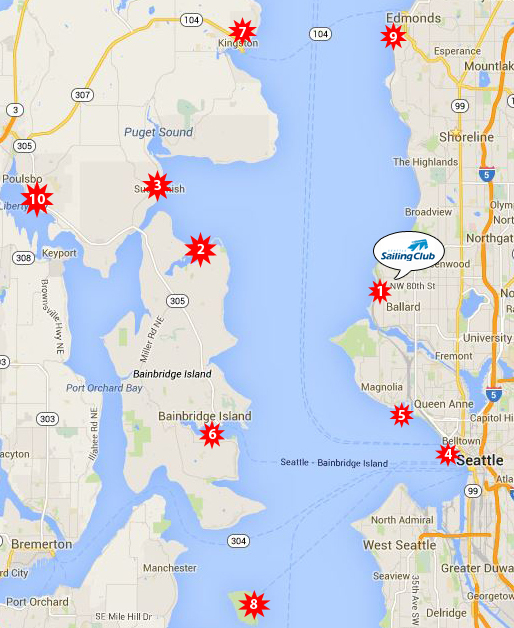 Eagle Harbor is located in the east shore of Bainbridge Island. The Washington State Ferry from Seattle to Bainbridge comes in and out every couple hours. Take a short walk through the park and head towards the little town for local shops, wineries, and restaurants. Waterfront Park has picnic tables and a stage for bands to play during the Summer months. Eagle Harbor has enough activities for a full day of fun. Kingston is a ferry hub for the Edmonds to Kingston ferries. 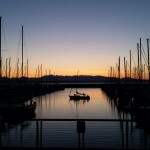 Tie up to guest moorage and walk up to the restaurants, shops, and art galleries. There is a farmer’s market every Saturday morning throughout Summer near the port. 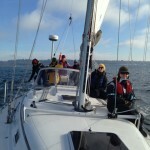 Seattle Sailing Club enjoys lunch at the Ale House and ice cream at Mora Iced Creamery. Blake Island is located just North of Vashon Island. The island is a Washington State Park and has 475-acres of land with hiking and biking trails throughout. The Suquamish Indian’s campground in Tilicum Village hosts a traditional dance performance and salmon dinner throughout the Summer. North of Shilshole is the Port of Edmonds. 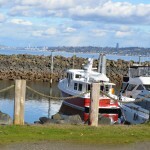 Edmonds is a suburban city, but retains a quaint, quiet feel similar to a small town. Take a walk along the waterfront or stroll into downtown for restaurants and shopping. For a more relaxed visit, hang around the marina’s two beach parks equipped with picnic tables, playgrounds, and sandy beaches. Poulsbo is full of places to eat, shop, and escape the busy city life. Sluy’s Poulsbo Bakery is the place to go for sweets, they are known for their incredible donuts and Scandinavian pastries. Pick-up your pastries and head to American Legion Park which is just a boardwalk away offering grassy areas to play and an arboretum.